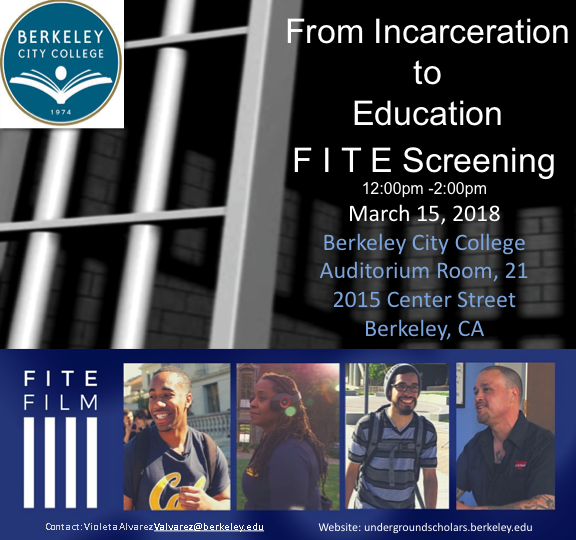 Please come join Berkeley Underground Scholars and Berkeley City College Ambassadors for the viewing of the From Incarceration to Education (F.I.T.E.) documentary. The F.I.T.E. film details the experience of UC Berkeley Underground Scholars navigating through higher education. After the screening, the event will include a panel with students in the film.